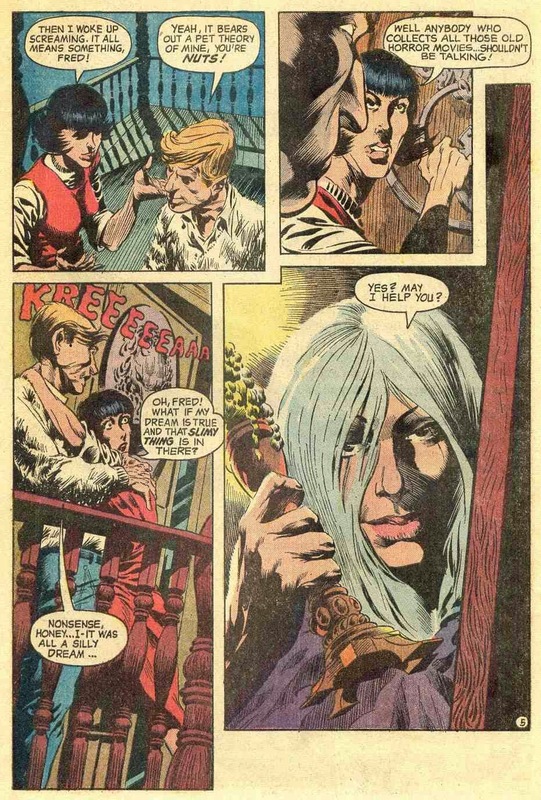 Be sure to scroll to the bottom of the page to see scans of the original art for the cover and some of the story pages. Also, check the messages at the very bottom for links to two more pages of original art. 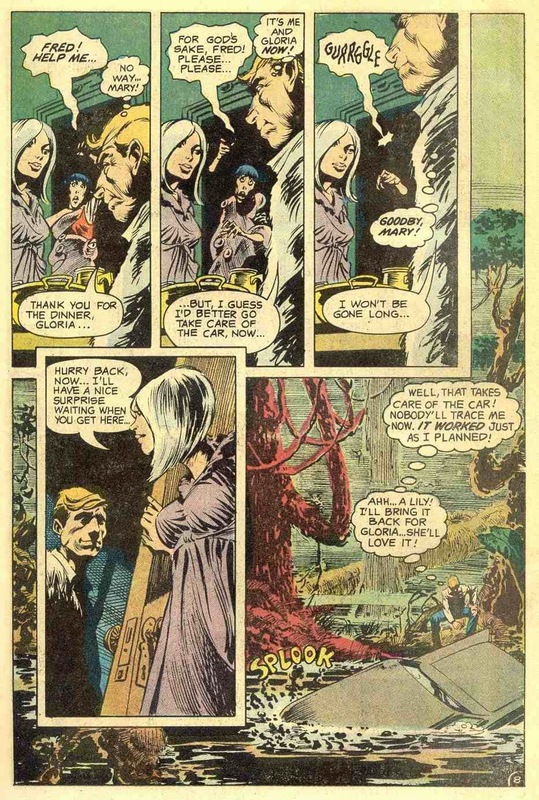 Wrightson's brushwork was coming into full flower on this story! 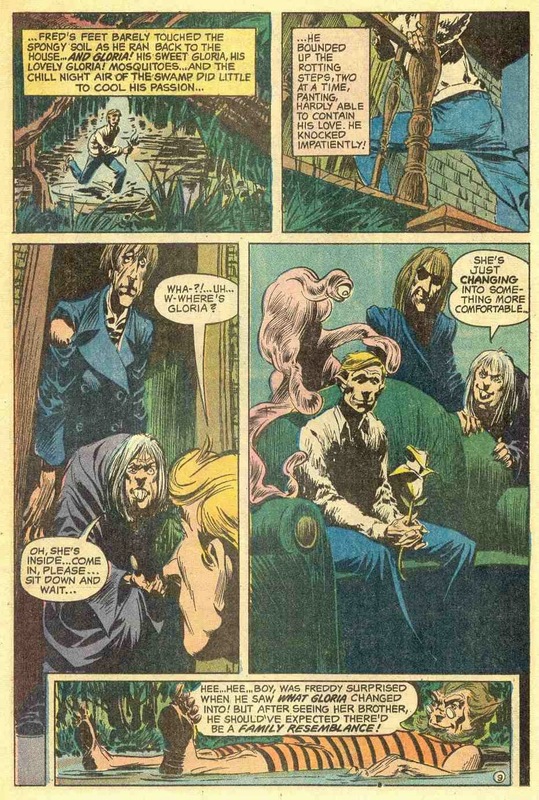 I wonder what ever happened to Mary Skrenes. 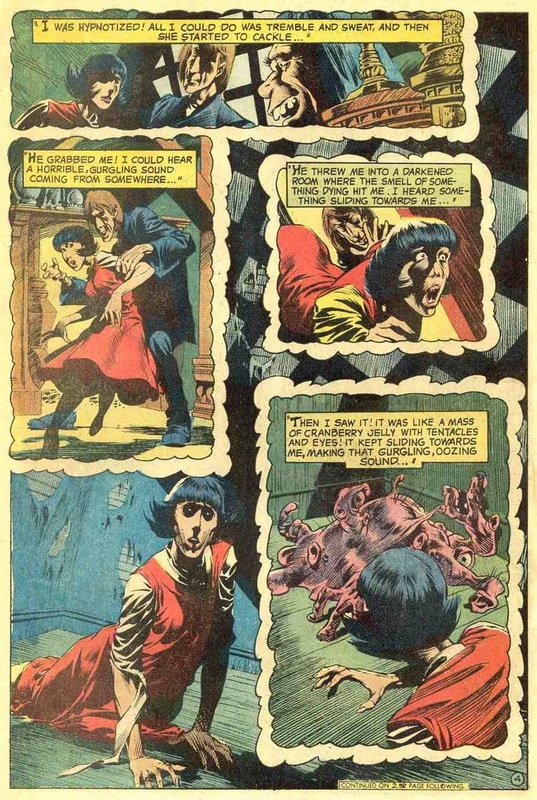 Until the modern era of the internet, I never would have guessed that all the DC mystery stories I read by "Virgil North" were actually her! 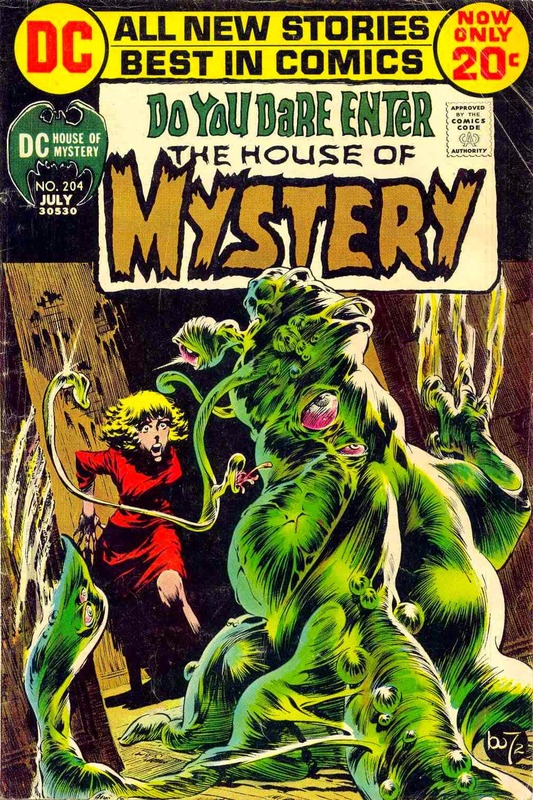 The other series I know her for was OMEGA THE UNKNOWN for Marvel, circa 1976-1977. Her Wikipedia listing says she skripted ssome animated shows, and then like many talented creators, she just seems to have disappeared. 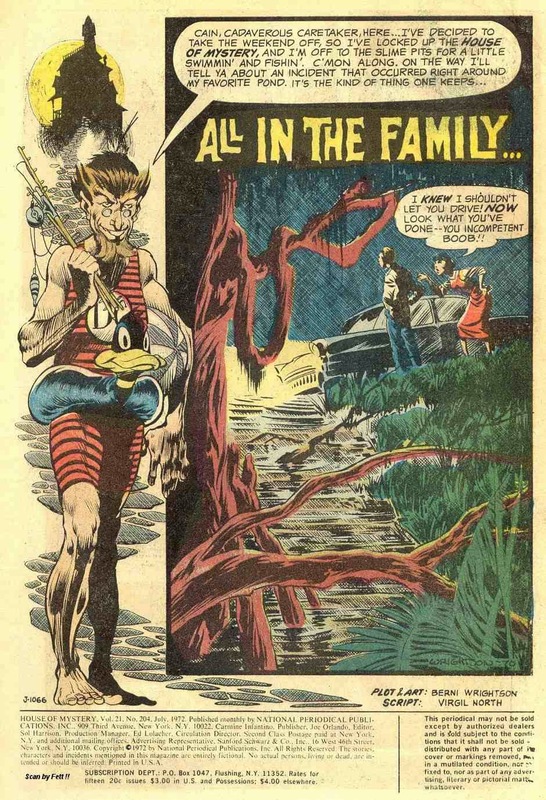 Another artist from that era that I liked, who did some nice and innovative pages on about 30 comics for DC in the 1972-1980 period is William Payne. 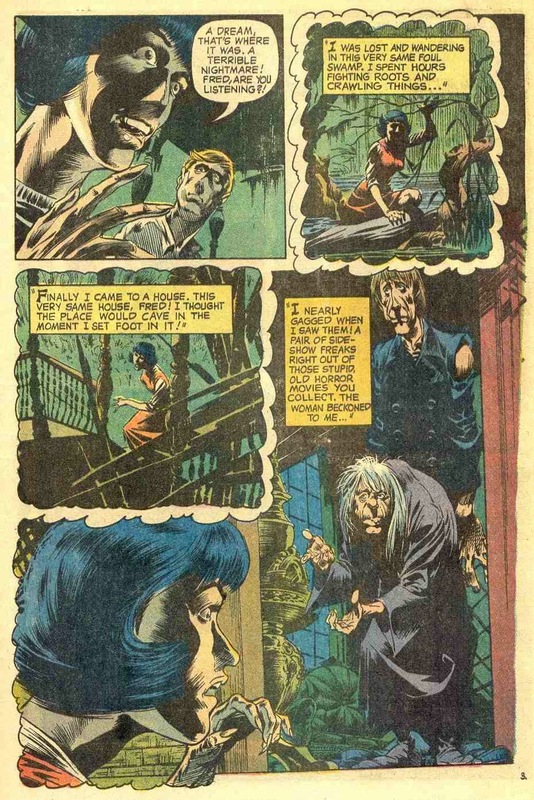 In particular 2 stories in HOUSE OF MYSTERY 206 and 207. 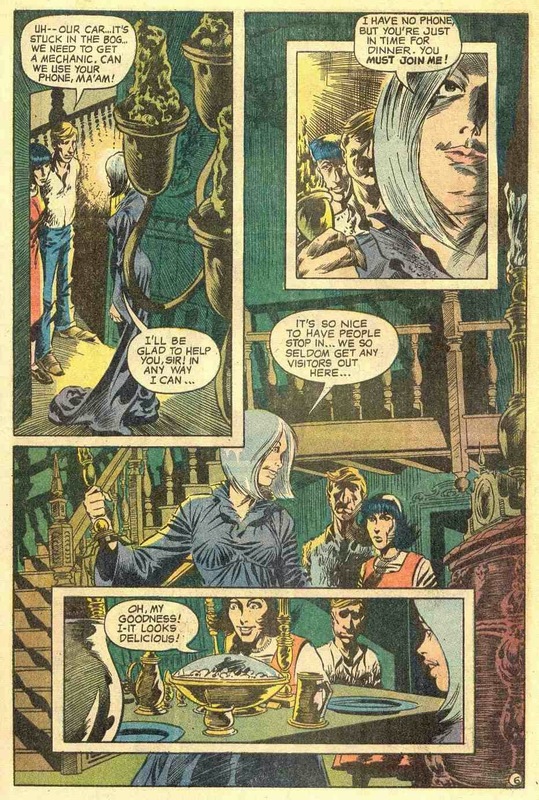 "Nobody likes a Lizard" in HOUSE OF MYSTERY 192. 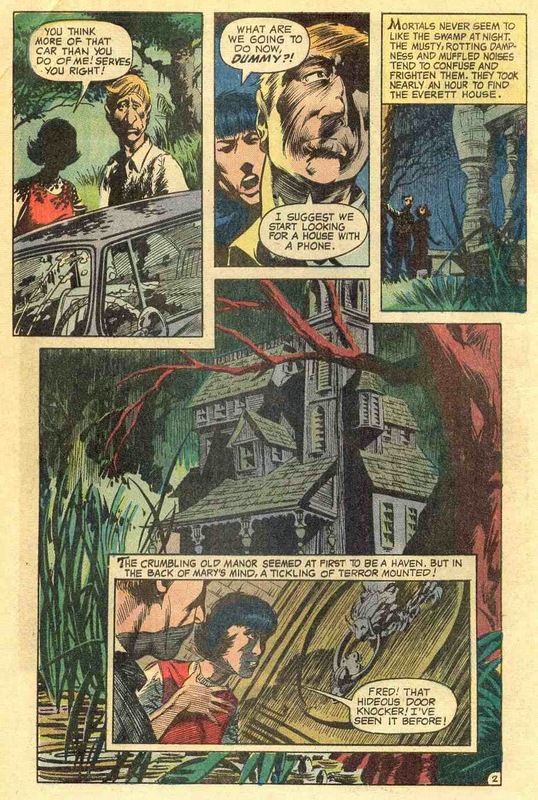 "Legend of Sleepy Hollow" by Wrightson and Jeff Jones, originally in THIS IS LEGEND 1, reprinted in BERNI WRIGRSON MASTER OF THE MACABRE 4 and many other places. 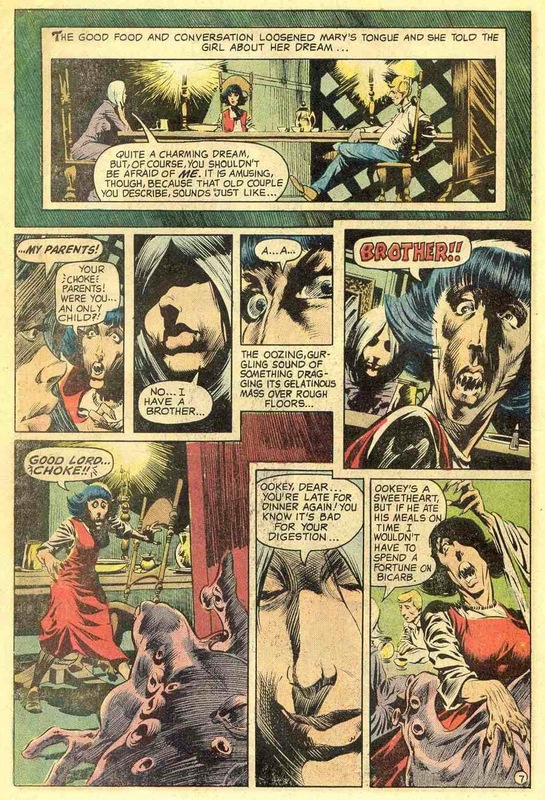 "It's Better to Give..." in HOUSE OF SECRETS 92, with art by Weiss/Dezuniga.